ELS-Boston Downtown is proud to be located in the heart of one of the most historic cities in the US. We are surrounded by world-class institutions, such as Harvard, M.I.T, Boston University, and 50+ other top colleges and universities. Our school features a 36 student computer lab, easy access to public transportation, and an enthusiastic and helpful staff. Additionally, our location is near all of Boston's major historical sites, as well as restaurants from around the world and world-class shopping. Rich with American history and culture, championship sports teams, and a quick walk to Boston's waterfront on the Atlantic Ocean, ELS-Boston Downtown is the perfect place to study and learn English! To be successful in today’s multilingual work environment, executives and business people must be able to communicate confidently, accurately and effectively in English-speaking situations. 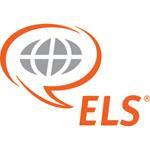 ELS offers several unique program options to help busy professionals like you master the English skills so essential to achieving your career goals. This location offers a variety of group and private English programs for university/college bound students, Executives and tourist-study students. This location also offers IELTS test preparation and is an IELTS testing center. The center provides a wide range of services that include airport meeting, assistance with housing, cultural orientation, help with immigration matters, college admissions counseling, and sponsorship of a variety of social and recreational activities. The center also offers free e-mail and internet access to our students. Students may use many campus facilities for free. More than 550 U.S. universities, colleges and career schools (including Mount Ida College) recognize completion of the ELS Intensive English program as satisfaction of their English language admissions requirement, in place of the TOEFL or other exam. The ELS Language Centers University Placement Service can also help students secure placement in a U.S. university, college or career school before they leave home. The center also provides college placement assistance to currently enrolled students. Internship Experiences are offered but require at least 2 sessions of the Intensive English program and ELS level 109 completion. Improve your English skills and communicate accurately and effectively with the ELS General English program. Develop listening, speaking, reading and writing skills, and more with this full-day intensive program. If you want to learn English while still having time to visit local cities and attractions, the ELS Semi-Intensive English program is perfect for you! You will take classes in the morning and have afternoons free to explore and use your improving English. The development of important language skills and elements, such as listening, speaking, pronunciation and vocabulary, allows you to communicate accurately and effectively.